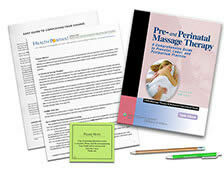 Expand your professional repertoire through teaching prenatal massage to expectant couples. The Teaching Prenatal Partner Massage home study program was developed to teach massage and bodywork professionals how to instruct prenatal massage to expectant couples. Through teaching expectant couples, you will also learn how to give a healthful and relaxing massage treatment to a healthy woman during the course of a normal, low-risk pregnancy. As a bodyworker teaching partner massage, you can affect the well-being and health of not just the mother, but the unborn child, and help strengthen the family bonds at the same time. Through the classic video Loving Pregnancy with Partner Massage, this program was designed to be used as a teaching tool that allows the educator to provide a visual reference of the techniques as they are being applied by the expectant couples. The video, to be used to teach classes, will demonstrate special techniques that can help relieve normal discomforts of pregnancy and childbirth. The materials in this course will provide you with the basis for learning how to administer an effective, relaxing massage to an expectant mother, and will enable you to teach prenatal partner massage to expectant couples. This course material should absolutely be given in massage school. All I can say is that I now feel tremendous relief and increased confidence having taken this course. The information was outstanding - both comprehensively and in the practical details given. 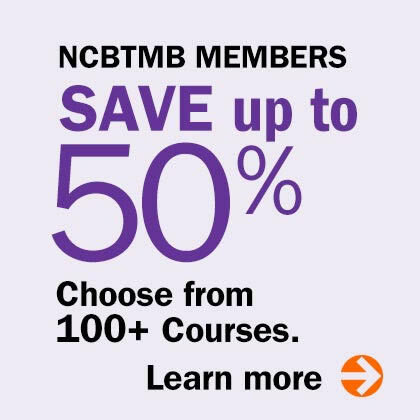 Everybody should take this course as an essential part of their foundation in their massage business regardless of whether prenatal massage clients are their clientele. I was very pleased with the content of this course; it was clear and easy to use. The video was a great enhancement, as it showed hands-on techniques that can be put to use immediately. The addition of material suitable for photocopying and handing out to clients will be very helpful to me in my practice. Thank you for a great course! 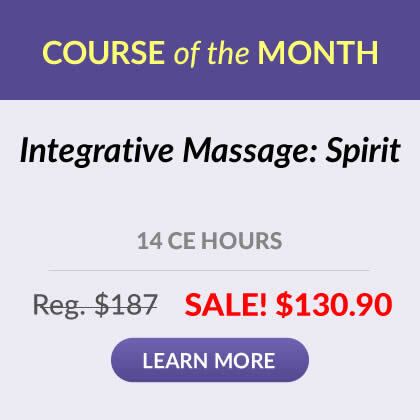 This course has gone over and beyond my expectations, and being privy to teaching couples massage education, offering handouts, and access to a revised intake form far exceeded this courses potential. I'm a very visual hands-on learner and it helped me to have a video accompanying the literature seeing as it's harder to learn the correct technique from a one dimensional, immobile manual." Videos were helpful but really loved the handouts in th appendix. Extremely relevant to transferring this to my practice. Excellent course! This class was wonderful. Very informative and easy to follow. I learned more in this course than I did at the class when I was going to school to get my LMT. I will now feel much more confident about giving a pregnancy massage and can't wait to start setting things up for a class of my own. Thank you for offering this class. I truly enjoyed it! I found this course extremely interesting and very informative. I thought the content was presented and explained very clearly and thoroughly. I enjoyed it very much! This was by far my favorite course! The material was well organized, educational and enjoyable. I found this course extremely beneficial, and will definitely be able to use everything I learned in my practice. Great course. The video was a bit dated, but it was still really good. Great explanation of moves. Very long exam but I think its worth it. Thank you very much I really gained confidence in doing this modality. This course was phenomenal. I have taken study at home courses before and the materials were not nearly as thorough and extensive as those that came with this course. I will definitely use your courses in the future and recommend them to my friends and colleagues. This was a great course. I love how they integrated business building tips for teaching massage to couples. This will definitely be a benefit to my practice! I felt the material was succinct, well written, easily understood and comprehended. I thoroughly enjoyed taking this [course]. The accompanying video and guide as to setting up training with couples was invaluable.